Here in this article today, we are going to discuss a different kind of drone. Now, these drones are different from the ones we use for photography and other stuff. Today, we will highlight the best agriculture drones in India. Agricultural drones are used for multi-purpose in agriculture like analyzing crops, spraying, etc. Furthermore, the agriculture drones are a bit expensive than traditional drones. A lot of agricultural drone manufacturers are working hard to deliver their best in this sector. In India using drones to take care of crops will benefit in multiple ways. Firstly, it will save a lot of time and effort. Secondly, it will cut a lot of expenses. One of the major challenges in flying an agriculture drone is controlling it. Most of the times it is difficult to handle these drone due to their massive size. DJI MG-1S overcomes this problem, it is very responsive and easy to use. Just take the controller in your hands and move across the field. DJI’s intelligent system will remember your path and makes the flight in the same way. The intelligent system also strictly follows the spraying directions you set on the controller. The MG-1S is really effective and easy to work with. It can fly over 65-80 acres of land in one day. It’s tough for pilots to keep consistent flight height over uneven fields, affecting spraying results. With three downward sensors, the MG-1S can adjust its height according to the terrain. MG-1S delivers maximum spray accuracy with dual delivery pumps that control two pairs of nozzles at front and rear. 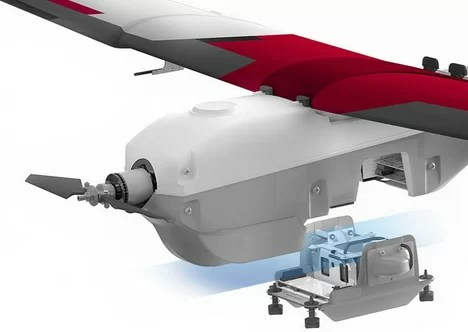 Moreover, DJI MG-1S drone can carry spray load up to 22 lbs. This allows the aircraft to spray constantly with changing flight speeds. MG-1S is one of the best agriculture drones in India for farmers. As far as the price tag is concerned, MG-1S is around $15000 in the United States. In India, you can order it from any reliable source as well. Sentera Omni UAV looks more like a simple quadcopter, but it’s a great agricultural drone. It is fully mounted with two 4K sensors on it for crop inspection. Moreover, it has RGB inspection and Infra-Red to monitor plants health. It can be controlled with a smartphone or a dedicated controller. OMNI UAV comes with 25 minutes of flight time. However, the flight time is less than what you pay for this drone. In the United States, these drones cost around $16000 to $17000. Which if you convert in Indian currency goes around 15 to 16 Lac Indian Rupees. 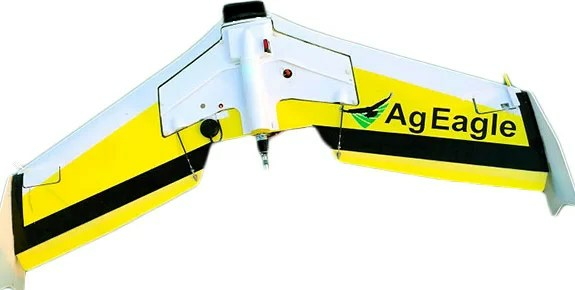 AgEagle is an agricultural drone that looks more like a military drone. RX70S is one of the most reliable drones in agriculture industry so far. It is made up of high-quality material to overcome any obstacle or crash landing. AgEagle takes clear high-quality photos on a cloudy day to let you know about plants health. However, other agricultural drones use sunlight in order to figure out the health of plants. Whereas this one is not just based upon that, it uses a very sensitive camera to figure out problems in crops. Moreover, it has a really great flight time of 45 minutes covering more than 300+ acres. The only downside of this is that it only works with Android tablets. Moreover, there is no price specified on any website. 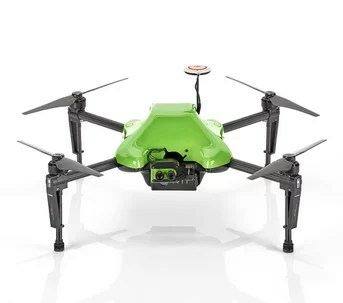 It has the widest range of aerial sensors compared to any other agricultural drone. Its responsive design allows you to attach or detach sensors easily. Moreover, the sensors on Lancaster 5 allow you to measure humidity, temperature, air pressure, etc. Lancaster 5 is able to adjust its flight position autonomously. It can adjust the flight according to the terrain in which it operates. It’s compatible with the 2D and 3D mapping software as well. If you are looking for the best agriculture drone in India with long battery life, then Lancaster comes with 45 minutes of flight time. It can cover 300 acres of land when fully charged. Lancaster 5 comes with a price tag of $25000. Well, that’s a lot of money to pay for an agricultural drone. Finally, when choosing an agricultural drone, you need to be very careful. Because they are expensive and need a little bit of flying experience as well. Agriculture drones can cut a lot of expenses like manpower and machinery. DJI-MG-1S is one the best agriculture drones in India to take care of your crops. MG-1S is super easy to control, offers a great flying time of 40 minutes, and monitors a vast area. For a price range between 15 to 16 Lac Indian Rupees, MG-1S is the best ag drone for the farmers. 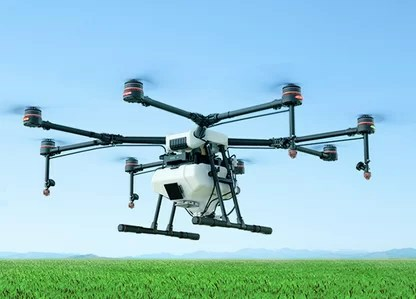 Hello, i need agricultural drone with 15 ltrs capacity of carrying the spraying chemical. please contact me asap on my number +974 7799 6748.